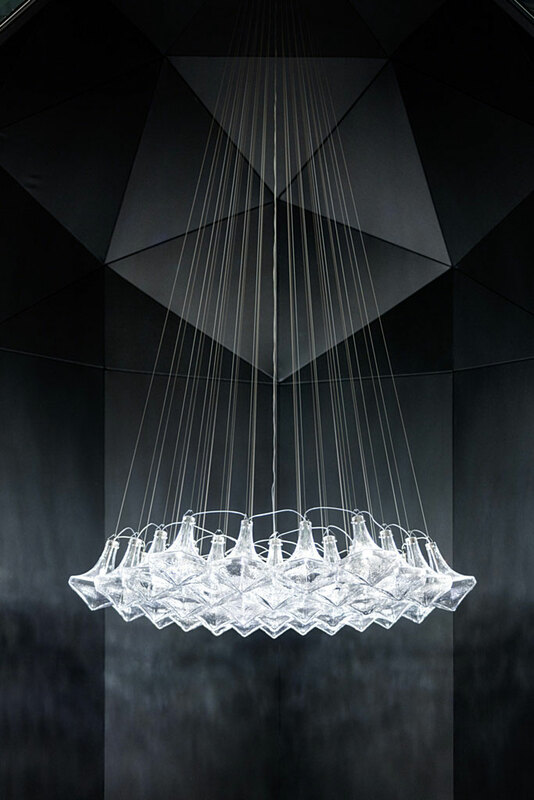 Facet Chandelier, created to represent a diamond-like hexagonal glass building block. 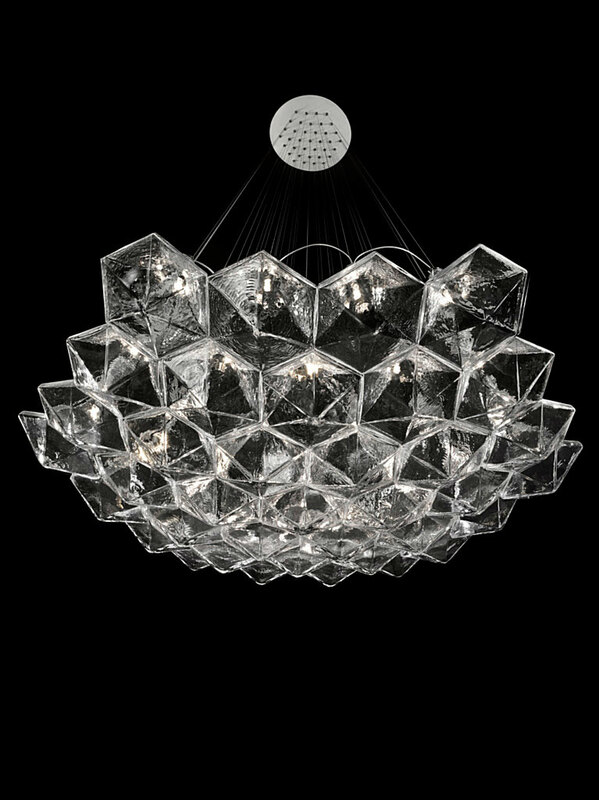 As if trying to systematize the chandelier-making tradition, Moritz Waldemeyer took the geometrical shape of the Classic chandelier outline and turned it into a diamond-like hexagonal glass building block. On its own, with just single pendant, or in combination of multiple items into a large chandelier, the FACET components stand out as clear, disciplined and geometrical. 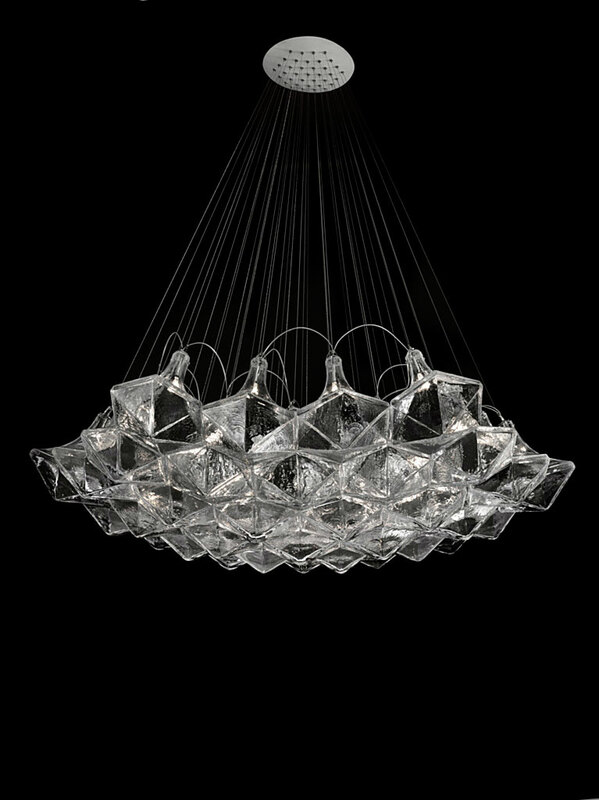 The light source included inside every pendant allows the FACET to be universal and almost unlimitedly extendable. WIRE LENGTH VARIABLE TO 118⅛"